Increasing your chances of winning the Mega Millions Jackpot is a Herculean task. But with a bit of luck, you can. 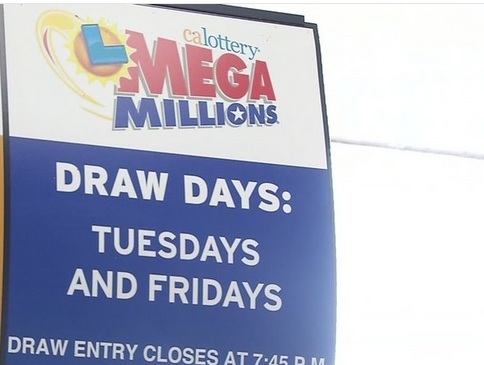 As of now, there’s still no winner of the Mega Million 6 winning numbers this Tuesday, thus the jackpot is now $868 million – the 3rd biggest ever Mega Million jackpot in U.S. lottery. However, a 5-winning number combination was sold in San Francisco. The next draw will be on October 19, Friday. Last Tuesday’s winning number combination was: 3, 45, 49, 61, 69 with a Mega Ball of 9. So how do you play the Mega Millions lottery? Each ticket is worth $2 and you can win a prize through 9 methods. You have to be 18 years old and above before you can play any type of lottery. Naturally, for you to have a chance of winning, you have to buy a ticket first for the Mega Million. Once you have purchased the Mega Million ticket at $2; you have to choose 6 numbers. You can choose the first 5 main numbers that range from 1 and 75; and choose the 6th number for the mega ball from 1 to 15. You can pick constant numbers from the birth dates of your family members or try the automatic “Easy Pick” from the lotto outlet. Afterwards, you may want to combine three numbers from the “Easy Pick” with three numbers from your birth dates. You can also play the numbers from your dreams or those you casually ‘pick’ from strangers. Some people stick to a set of numbers to play on the Mega Millions lottery, each chance they get to buy a ticket. You could also choose numbers that are “in-between” your numbers. Notice that the number 5 is omitted, so you may want to play another combination with the number 5. At times, there are also similar ending numbers in the winning combination, such as 49 and 69 (ending in 9, like the Mega Millions winning numbers last Tuesday). You may want to include two, as well. There are also winning numbers that are successive, such as 3 and 4, but don’t pick more than two consecutive numbers because there are fewer chances of winning with a string of numbers. You may also try to balance your chosen numbers and don’t select from one set or group only. Also, balance the odd and even numbers. The more tickets you buy, the more chances of you winning any of these prizes. It’s, undoubtedly, all about a little bit of luck, and a blessing, perhaps, from someone above. This is because the winning numbers are randomly chosen by drawing them. You have a one in a million chance of winning the Mega Millions; nevertheless, there’s no harm in trying. Who knows? You might become the Mega Million Jackpot winner of the U.S. Lottery on the next draw on October 19, 2018, Friday. The Mega Millions jackpot is drawn every Tuesdays and Fridays at 11 PM EST. Make sure you double check your numbers against the winning numbers on the Mega Millions lottery website itself.